Welcome to Wiley's Flies. Owned and operated by world renown fly tier, photographer and author Vince Wilcox. Located in the heart of the Adirondacks in Ray Brook, NY in between Lake Placid and Saranac Lake. (4mi in either direction) We also have a motel which offers fish and stay free packages. For more information visit our MOTEL page. 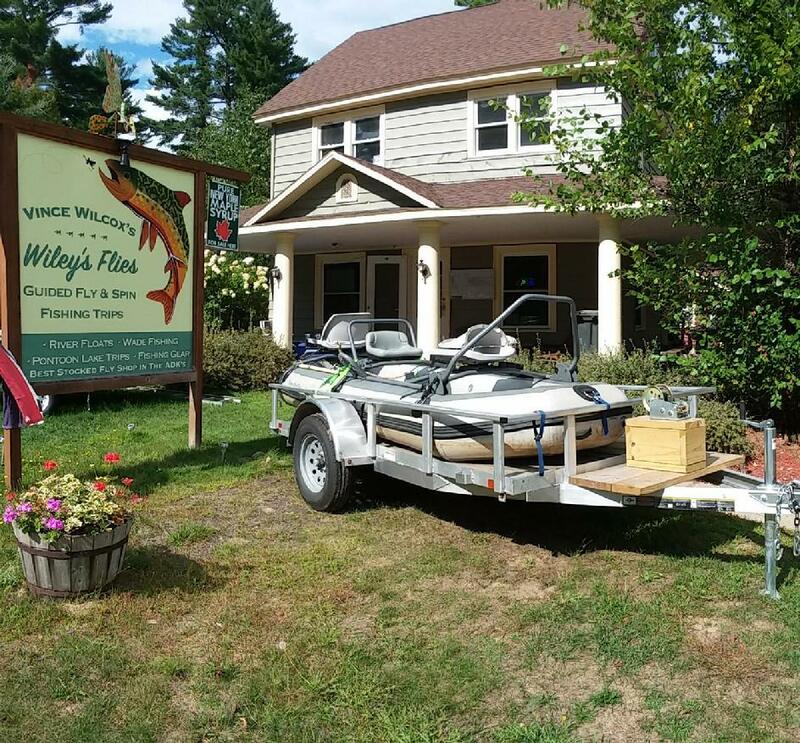 Wiley's Flies also offers the most diversified trips in the Adirondacks whether you are interested in floating one of (9) rivers for Trout, Bass, Northern Pike, Musky or landlock Salmon in our rafts, wade fishing or going out on our 22' pontoon boat for fishing and scenic tours. Fly or spin fishing, big streams and tiny streams no one talks about for native Brook Trout. Be sure to ask about our miles of private water access around the region that we offer our clients at no additional charge and check out our on-line store, filled with great deals on thousands of products.